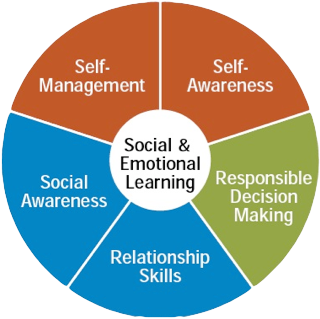 Fostering social and emotional learning (SEL) in children and youth has been shown by a growing body of research to make a real difference in children’s lives, both now and in the long term. We rely on this body of evidence to guide and shape the SEL programs we offer to students on the Sunshine Coast. There's plenty to read about and learn—get started here. Mind Up for Educators: A scientifically researched and evidence-based curriculum and professional development program designed to improve the overall wellbeing of children and youth by equipping them with vital social and emotional literacy skills that help them to thrive and navigate 21st century challenges. The curriculum targets issues like stress, anxiety-reduction and aggression by building capacity for perspective-taking, self-regulation, empathy and gratitude. Mindfulness-based Programs: Mindfulness stress reduction programs are intensive, highly participatory trainings that cultivate the skills necessary to become aware of and regulate thoughts, emotions and behaviours to more effectively manage stress and improve health and well-being. Roots of Empathy is an international evidence-based classroom program that builds social emotional competence and increases empathy in students. At the heart of the program are a neighbourhood infant and parent. Mindfulness Enhanced - Strengthening Families: This highly acclaimed, skills-building curriculum is designed for families and youth aged 11-14. Capitalizing upon family strengths, parenting skills are strengthened and youth acquire skills to navigate the teen years and build resiliency. Mind Up teaches social and emotional learning skills that link cognitive neuroscience, positive psychology and mindful awareness training utilizing a brain centric approach.